Decorative square glass cocktail / candle display tray. Perfect for use in the living room, bedroom, boutiques and as part of a wedding table display. 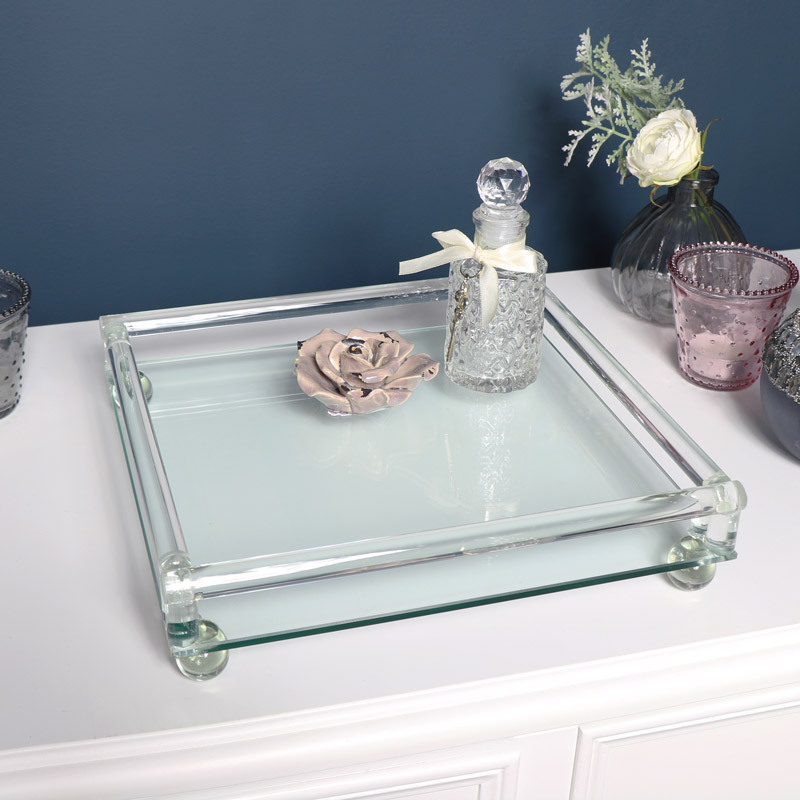 Pretty glass tray for displaying ornaments, trinkets, candles or cocktails. Square shape with glass bard surrounds adding a decorative feature. Decorative square glass cocktail / candle display tray. Perfect for use in the living room, bedroom, boutiques and as part of a wedding table display. 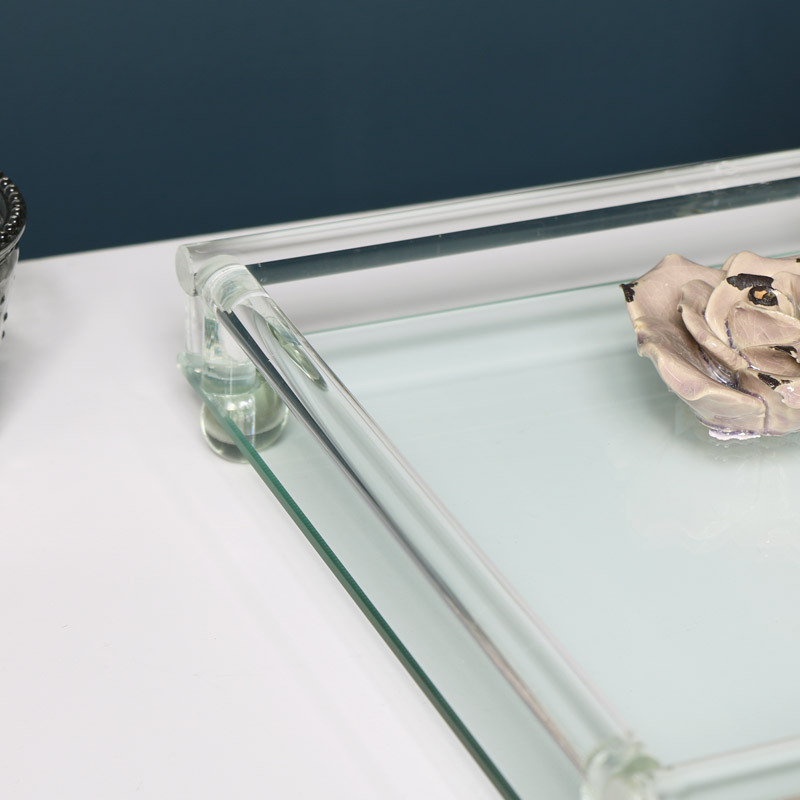 Pretty glass tray for displaying ornaments, trinkets, candles or cocktails. Square shape with glass bard surrounds adding a decorative feature. Made from clear glass with balled feet. We have the best selection of gifts and home accessories. Find the perfect gift for family and friends.